This is a very important topic. This article discusses these disorders in general, and specifically. Anorexia means no appetite. It can occur during an illness, due to shock or trauma of any kind, or for other reasons. Anorexia nervosa is the medical name given to a chronic lack of appetite and often an effort on the person’s part to not eat. Bulemia is the name given to a disorder in which a person eats, but then sticks a finger down the throat and regurgitates the food into the toilet after the meal. It is not uncommon among some teenage girls. WHY DO PEOPLE HAVE APPETITE DISORDERS? Some toxins or chemicals in foods may be addictive or cause aversions. MSG, for example, seems to increase appetite for whatever it is mixed with. The effects of many other toxins are subtle, but important in some people. “Special sauces” may work this way, in part, at least. The mechanism can be through odor, taste or even consistency. Some crave particular consistencies, such as that of Jello, bread, chips or other types of food. Hypoglycemia will often cause cravings for sugars and perhaps other carbohydrates. Fast oxidizers often eat to keep their oxidation rate fast. This usually means they crave alcohol, sugars or carbohydrates. They might crave fats in order to slow down or be more satisfied, however. Slow oxidizers often crave sugars to keep their blood sugar higher, as it tends to be chronically low. So-called food allergies are extremely common and often go unrecognized. They can cause addictions to foods, severe aversions to various foods, and they can easily pervert or affect the appetite and food desires in many ways. Some allergic foods definitely affect the brain and cognition, not just the digestive system. This is a very serious disorder with a high mortality rate. It is a complex illness. It is not simple. The person feels better when he or she does not eat, and there is little appetite, so the person does not eat. Copper imbalance is usually present with anorexia and bulimia. High copper and low zinc are associated with loss of taste and smell, and therefore a lack of appetite. This is a very common situation today. It causes many people to eat irregularly or skip meals. It also causes many people to eat very spicy, sugary or salty food because otherwise they do not taste their food very much. This is unfortunate and recovery of the natural senses is a slow process of balancing the body chemistry. 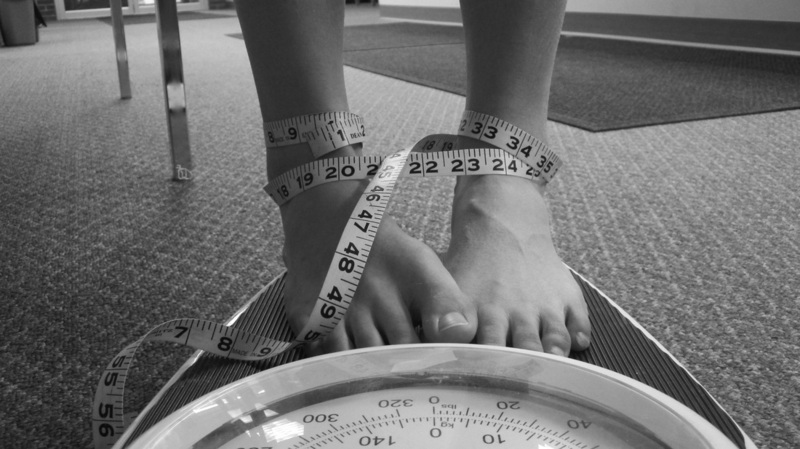 Distortions of the body image is also an important factor in some cases of anorexia. This, too, may have to do with copper imbalance. Copper is associate with a tendency to detach, ‘spaciness’, or schizoid tendencies. This disorder can involve entities that are particularly vicious. Important! Recovery from anorexia may well require plenty of counseling and even hospitalization to force feed the person for a while, and to make sure the person understands the seriousness of the condition. The person should remain well-supervised for months or longer until one is sure that the person has completely overcome the condition. Otherwise, it can recur and can be fatal. Nutritional balancing science can be helpful by restoring many nutrients to the body. This can be helpful to reduce unusual cravings for food. Removing toxic metals can also help restore a normal appetite. However, just following a nutritional balancing program may not be enough. Counseling and continuous monitoring of the person is usually needed, as well. Please see the section above this one. 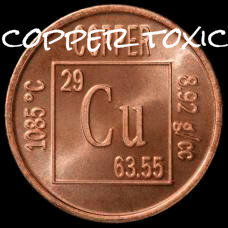 Balancing copper in the body is not easy in all cases, but nutritional balancing excels at this in many cases. This has helped many with anorexia and bulimia. Restoring the body’s energy level by balancing the oxidation rate helps improve mood and general mental functioning. It can also greatly enhance self-esteem and self-awareness to enable a person to overcome fears and distortions in one’s body image. Some discipline is required, however, to follow the program properly and those with anorexia may need assistance to stay with the program, especially at first. Nutritional balancing can also help in more subtle ways. Removing toxic metals frees up energy that can be used to heal old emotional wounds, for example. This occurs often during nutritional balancing programs and can be a key to overcoming many eating disorders.